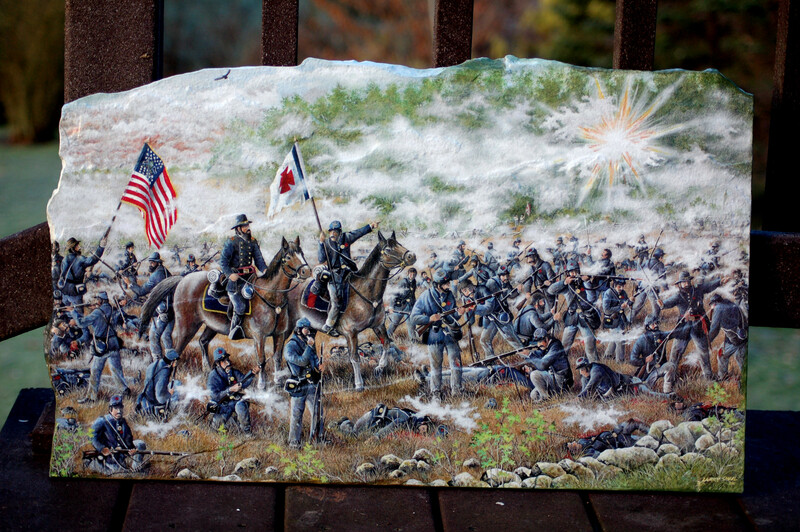 This is the print of my painting placed on stone. 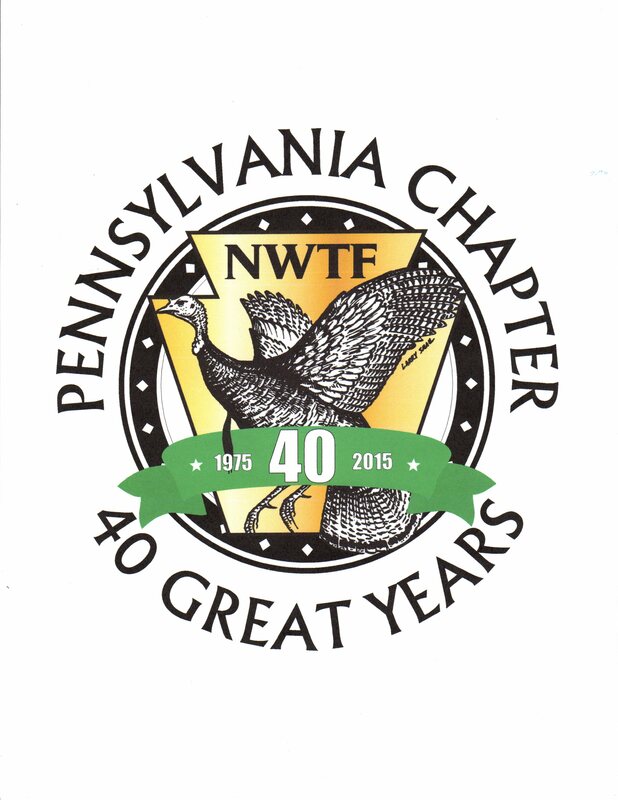 A design for the 40yh anniversary of the Pennsylvania State Chapter of the National Wild Turkey Federation. 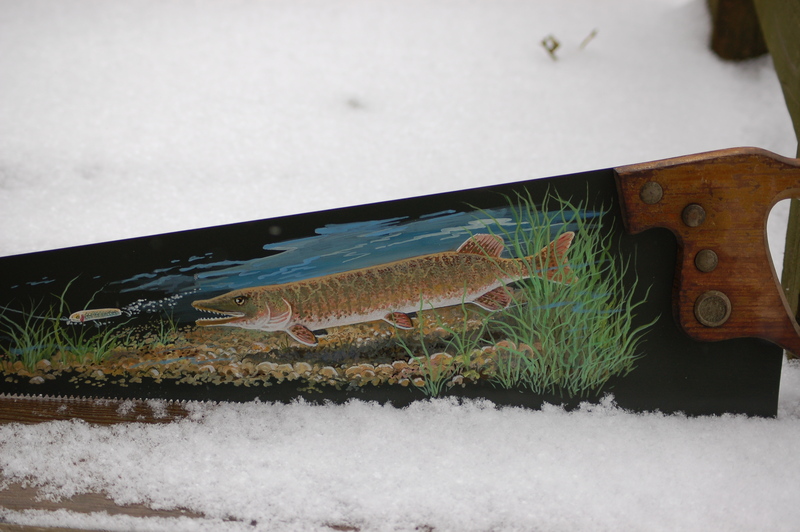 A Muskie painted on a saw. 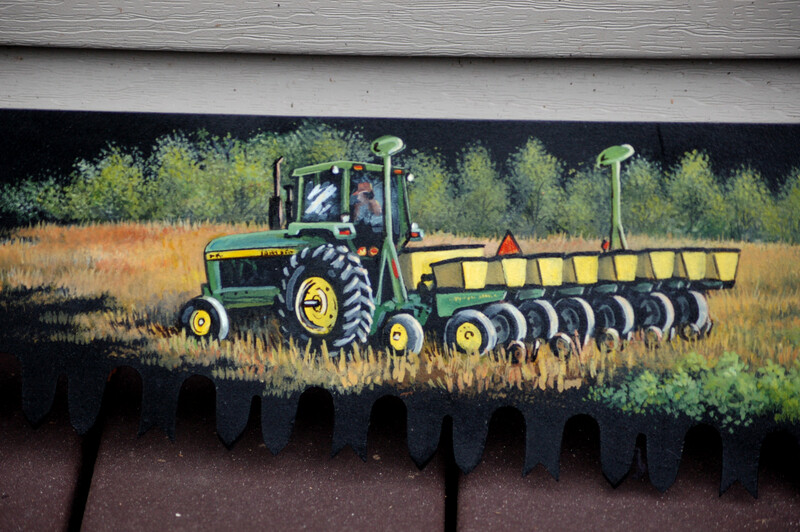 Three details of paintings of farm equipment on a six foot cross-cut saw. 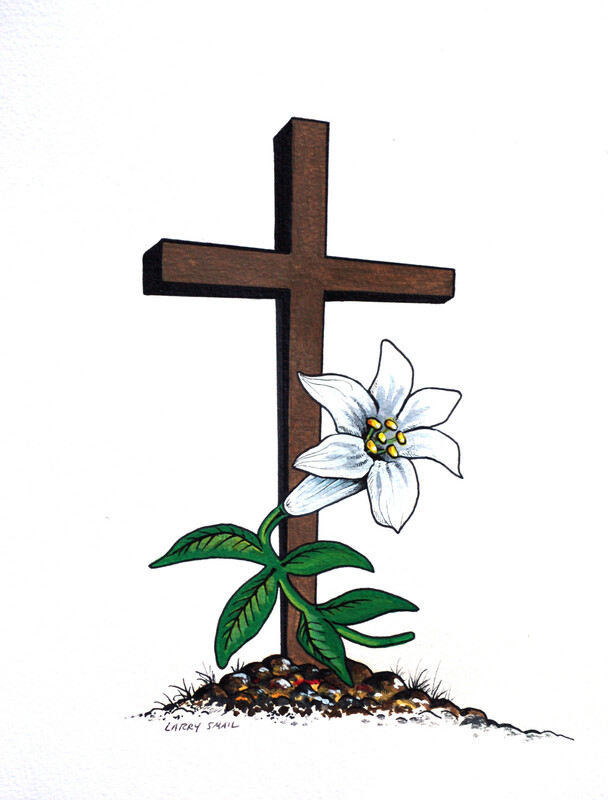 A cross and Easter Lilies. 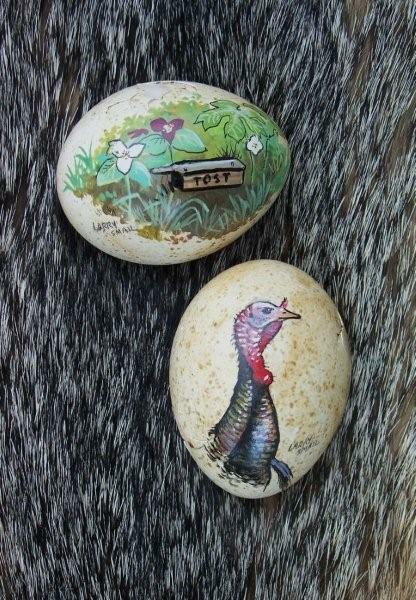 Miniature art on turkey egg shells. 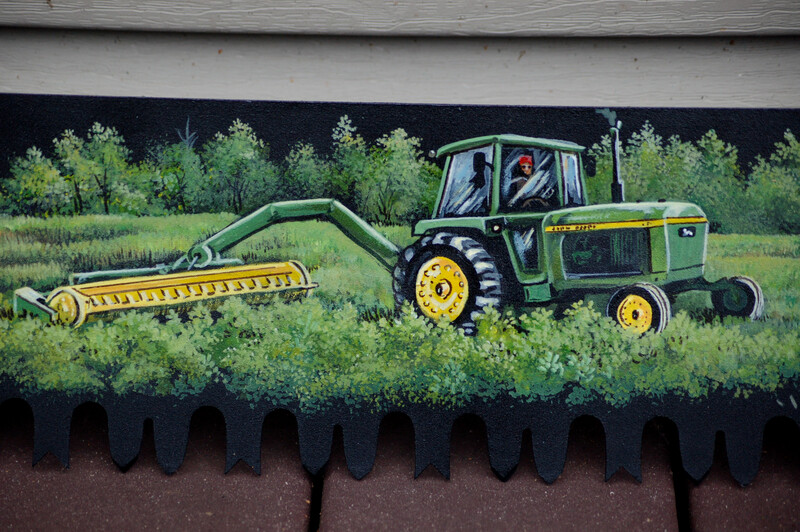 A fall scene on a saw. A sign for the Cherry Run Gun, Rod, and Reel club. 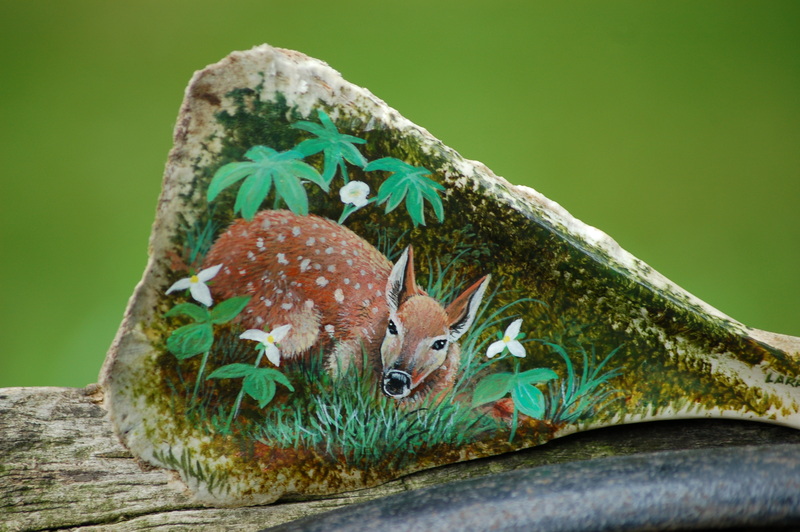 A shoulder-blade of a deer makes for an unique and interesting painting. Recently, I was approached about doing some art that is “out of the ordinary” for me. The subject was a house! 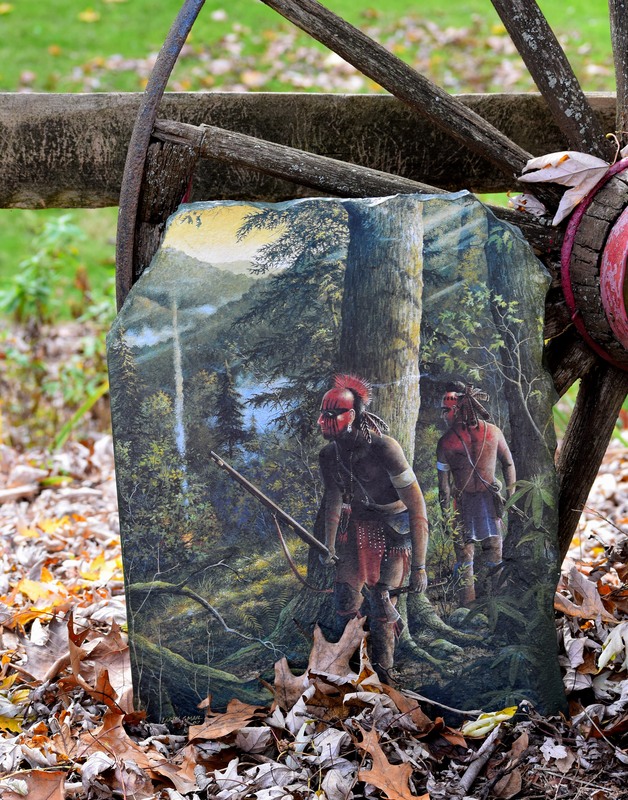 The original is 16 x 20 and painted with acrylic paints on masonite. Hope you enjoy this art. Wow Larry. What a change for you and such a wonderful job you did. I am so proud of you and all your talents. You are amazing. Vivian…(a.k.a. BooBoo) Thank you very much! I appreciate it, but remember you too are an amazing person!!! 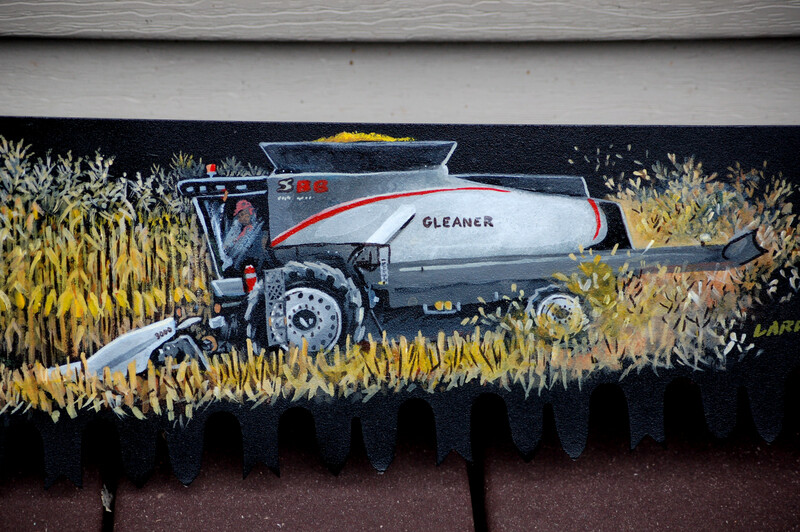 Thank You Larry, I was very suprised and even more pleased with your painting! 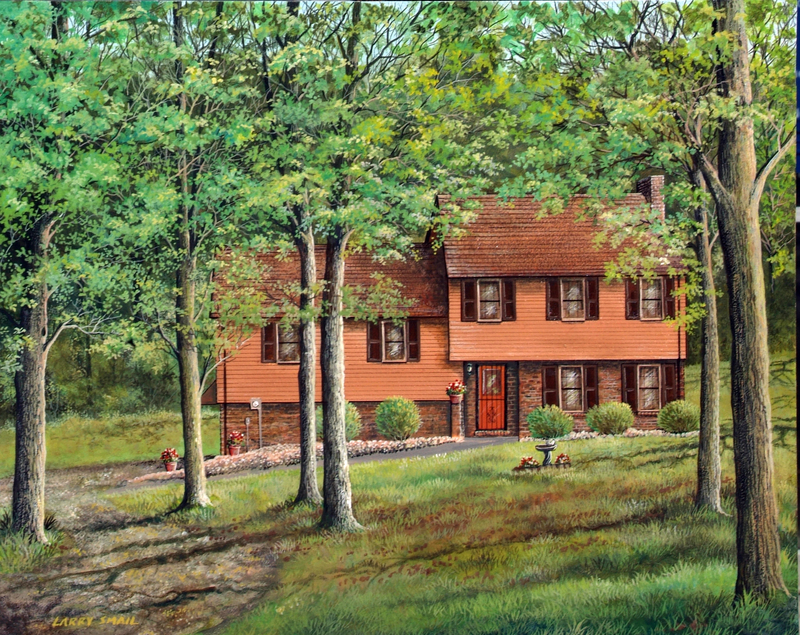 I am excited to frame and hang this painting in “The Crawford House”! Dave, Thank you very much. 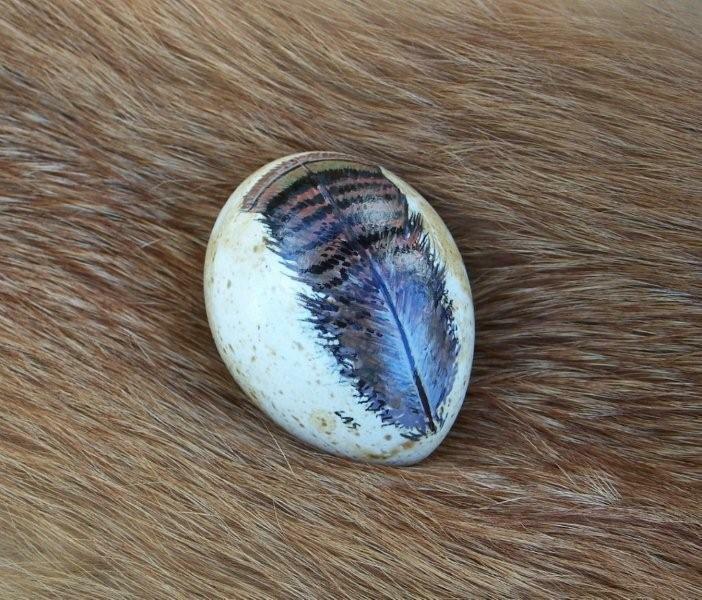 I am happy you like the art. Happy Birthday!!!! !